Researchers from the Universitat Politècnica de València and the Spanish Institute of Oceanography have presented a study that determines the weight of bluefin tuna by the relationship between the maximum length, height and width. The application of this study in the sector will potentially contribute to the improvement of controls for the recovery of this species, one that is highly valued one throughout the world, especially in countries such as Japan. 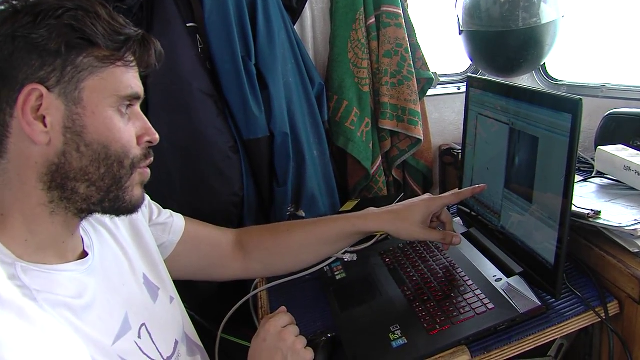 “Its direct application in the bluefin tuna fattening farms would provide producers greater control over the process, making the fattening process of bluefin tuna in captivity more efficient and ecologically sustainable,” says Vicente Puig, researcher at the Institute for Integrated Coastal Zone Management of Campus Gandia of the UPV. This study has been published in the PLOS ONE scientific journal. “What they do currently is measure the length of 20% of the tuna caught and estimate the total catch. If 1000 tuna are caught, 200 are measured and the average length and weight is obtained. Obviously, not all specimens are the same; one can measure X and it will weigh differently from another one with the same length. Therefore, it is an estimate that may differ significantly from the actual catch. The relationships found in our study will help to minimize these errors,” explains Vicente Puig. 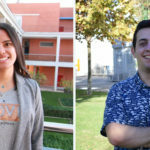 The study presents a series of equations developed by UPV researchers, based on real measurements upon the extraction of specimens fattened in cages. With the application of these equations, the estimation of catches and control of fattening by the producers is much more precise. “With the system developed in Biacop, in addition to the length, we can also measure the width of the tunas. The biometric relationships presented in this study will enable more accurate estimates of the weight of tuna. 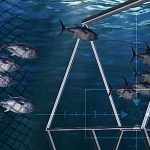 With the aid of predictive weight equations based on the linear dimensions of the tuna, the margins of error in the estimation of the captured biomass are significantly reduced. Our objective is to offer a system that contributes to the conservation of the species and provide better information on the state of the fisheries so that the fishermen are able to fish, have better knowledge about the fish they catch, and that the restrictions imposed to prevent the overexploitation of resources will result in the sustainability of the species,” explains Vicente Puig.